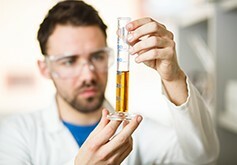 The analysis of fresh oils and fluids is especially recommended for professionals who receive and/or store high quantities of fluids (> 200 liters). – check the suitability of the product to its application. Viscosity at 40°C and 100°C (Check of lubricant flow properties and its possible dilution by fuel). – Calcium, Magnesium, Zinc dithiophosphate (anti-wear additives), etc. Alkaline reserve (TBN measurement), etc. 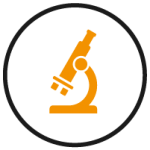 Our R&D laboratory will assist you to analyse performance, oxidation resistance and impacts on the environment. Analyse your fresh oils on a regular basis and especially if you change supplier or modify your storage conditions in order not to affect the good operation of your equipment.